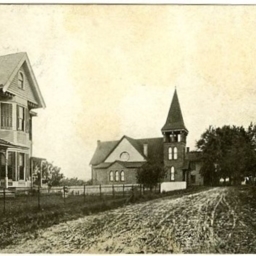 Postcard with a picture of a street and the Methodist Episcopal Church South in Mt. Jackson Virginia. Now the Mt. Jackson United Methodist Church. Marion Everly, Druggist, Mt. Jackson Va.
Marion Everly, Druggist, Mt. 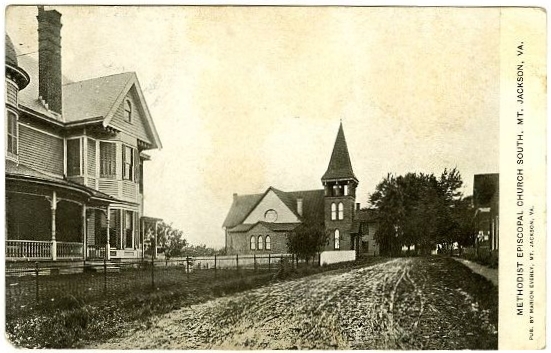 Jackson Va., “Methodist Episcopal Church South, Mt. Jackson VA,” Shenandoah County Library Archives, accessed April 19, 2019, http://archives.countylib.org/items/show/5450.